Hi everyone! I am up on Altenew blog today sharing a new card and video using an amazing Bejeweled stamp and die set. 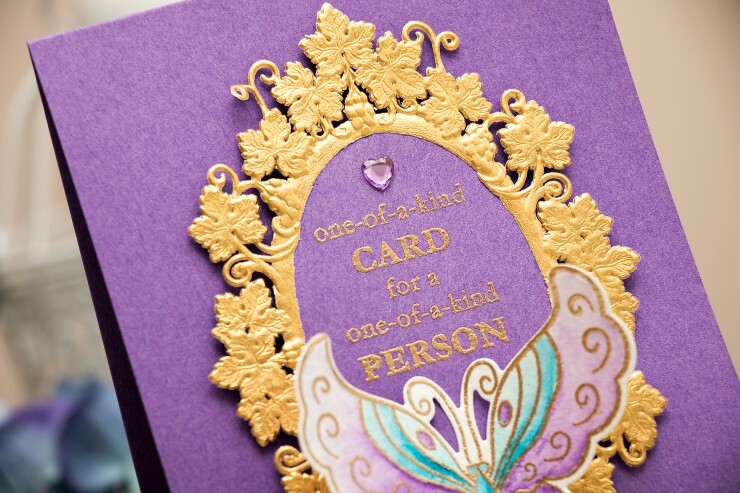 I’m a huge fan of purple and I just had to use it for this card together with new Brass embossing powder from Hero Arts. Has a wonderful royal richness to it. Love the card and the die set. Yes, it has a richness to it! Thanks for sharing your technique. This card is so feminine and delicate! I love the regal quality it has. I love purple and the colors on the butterfly are a wonderful combination! Thanks for all the tips! Yana, I do not understand why anyone doesn’t love purple it is totally gorgeous, as is your fabulous card.